HBO has created many pivotal television series. True Detective brings A-list Hollywood stars, Matthew McConaughey and Woody Harrelson, to the HBO's acclaimed drama stable. This show explores the lives of two detectives, Rust Cohle and Martin Hart, as they seek to solve ritualistic murder in Louisiana. The 17 year old unsolved murder creates plot twists and turns that keep fans guessing. From drug addictions to extra-martial affairs, the complicated lives of these partners brings additional chaos to the twists and turns of the unsolved case. True Detective joins the HBO line-up of outstanding television series. From period pieces like Game of Thrones to vampires in True Blood, HBO offers some of the most intriguing story lines and characters on television. Both ardent fans and newbies can head purchase their favorite HBO series at Best Buy. 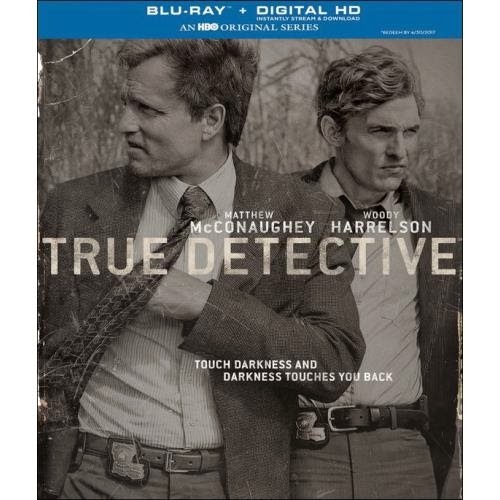 On June 10, True Detective will be released on Blu-Ray and DVD and can be purchased at Best Buy. If you are a fan or new to the series, the release will offer additional footage and commentary on this acclaimed series. Other HBO popular series can also be purchased at Best Buy. From 6/8-6/14 all HBO series will be on sale at Best Buy. It is the perfect time to stock up on Father's Day gifts for the man in your life. What better way to spend a lazy weekend than catching up on HBO popular series. Dad won't have to worry about watching home improvement shows because there's nothing else on television. See what critics and fans know about HBO popular series, like True Detective. Buy a copy of your favorite at Best Buy. That sounds like a good show. We love shows like that here. It might be a great gift idea!